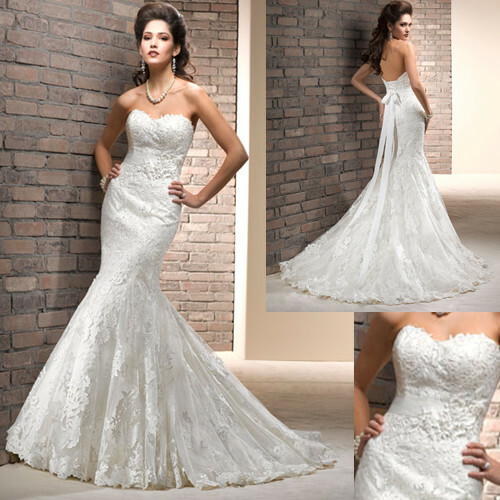 Fit and flare wedding dresses. A magnificent walk down the aisle awaits the traditional bride choosing this fit and flare tulle gown featuring bold lace motifs scattered throughout. A detachable ribbon belt with handmade flowers and crystals adds drama at the natural waist. Sweetheart neckline finished with corset closure.